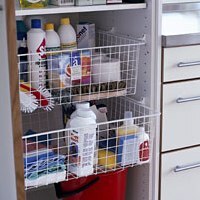 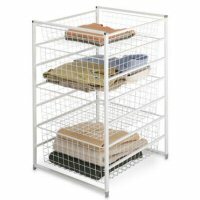 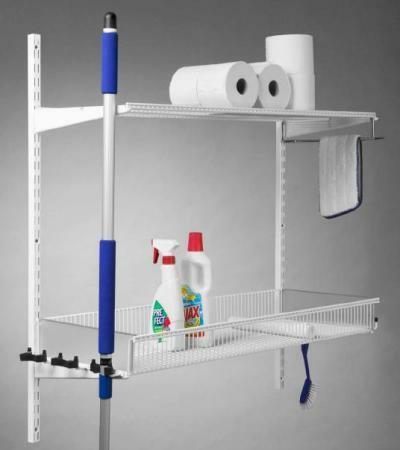 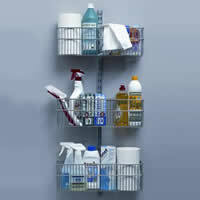 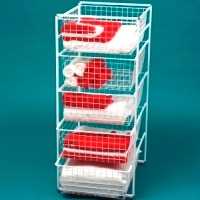 Our 90cm wide laundry shelving unit comes with 2 x epoxy coated shelves, one of which is a basket shelf with dividers. 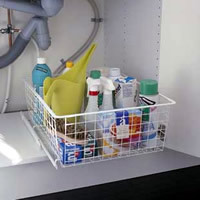 The unit is designed to neatly store your cleaning products and also has a top shelf, three neat hooks to hold your broom and mops securely in place, a towel rail and a hook for cleaning cloths. 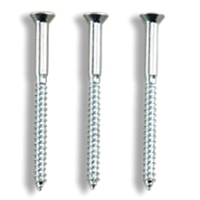 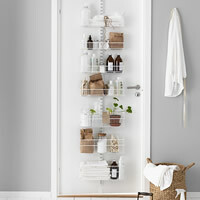 Another great storage solution from elfa at STORE!